Let's add Singapore quali to that list - his best lap ever? Almost certainly. Ferrari were nailed on favourites for qualifying and the race. It's strange that 2008 sticks out like a sore thumb. I would actually put 2008 above 2014 and 2015 because he didn't have the fastest car. Arguably the greatest F1 driver of all time! This could be his last. Leclerc looks MEGA consistent and Seb will be keen to iron out the mistakes. Verstappen+Honda could be an incredible combination. Bring on 2019! Austria - Hamilton has pole lap deleted for running wide then spins and starts P9. Brazil - Hamilton spins when just about to overcut Rosberg (left out 1 lap too long). Hamilton absolutely thrashed Rosberg in 2014, some races were close but Hamilton was always on top unless something happened. The only downside was qualifying pace but he still only lost 8-10 and the up turn in race pace more than made up for it. The Ferrari is looking very Racy at the minute and the merc looks to be the tyre eating monster it used to be back in the day. Lewis won in Brazil in 2016. Wow, 5 WDC. Been a while since that happened last! Well done to Hamilton, controlled his race and didn't risk at all, pretty much the best drive he could have had, smart man. The same can be said for the whole year, apart from a sluggish start, he was the driver to beat, no matter what. Delivered in wet and dry, what else could a manager want? Totto must be a happy man. Well deserved WDC, I also rate it as arguably his best. Let's see if he'll have a crack at Schumie's records. Still overall it's seen as him winning in the fastest car unlike 2008. For me both 2014 and 2015 were superior seasons to 2008. Yes, Hamilton won in a slower car in 2008 but he also made a few significant mistakes that year and he was competing against Massa and Raikkonen (neither as good as Rosberg IMO). In 2014, Hamilton was a beast on Sundays and 2015 was arguably his most dominant season (up to the point when he secured the title). So that will be two titles he's won whilst not having the best car? Some would argue three - I'm amazed at how many people on Reddit and Discord who AREN'T Merc fans came to the conclusion that Ferrari had the better car in 2017 (I don't agree). Mercedes had their reliability issues too e.g. Spain (Bottas engine failure), Britain (Bottas gearbox penalty) etc. Hamilton, 20 (Gearbox penalty in Austria, headrest malfunction in Azerbaijan). The difference in loss of points, 14. 2018, 2017, 2008, 2015, 2014. I agree with Pokerman re 2008. Securing the title without an outright car advantage, that's more impressive than winning in the dominant W05 & W06 (imo). You just need to be accepted for who you are and be proud of who you are and that is what I'm trying to do. Always nice to wheel this one out. Think McNish probably got it the furthest wrong. Alonso seemed to be on the money, and the article's author was right on target with the notion that Mercedes would be in pole position engine wise for 2014. I remember thinking it was a poor decision to move although Mclaren were full of mistakes and Whitmarsh seemed to promote failure by being too...soft. I would love to know what he was really like behind the scenes. With hindsight, the very fact that Brawn was in charge at Mercedes meant it was always going to come right. Everything Brawn touched turned to gold eventually. I think that Joe Saward has the most egg on his face based on the comments there. His condescending and superior tone only serve to make him eat his words even more. Experts eh? I wonder how much that lot were paid to come up with their opinions. God, the Daily Mail's Jonathan Mcevoy came across as so holier than thou. What a difference 6 years makes. These days he is calling Hamilton the joint greatest of all time. I'm not going to criticise any of them, at the time I was saying don't leave McLaren. Last edited by pokerman on Tue Oct 30, 2018 1:08 pm, edited 1 time in total. I always love revisiting that article. I mean, none of us could've imagined this would happen. I thought it was a bad move in 2013 but look where we are now! Obviously, nobody can really criticize Martin Whitmarsh and Jenson Button for their comments in that article. They were Mclaren employees so were hardly going to say that leaving the team was a good move. I thought like a few of the journalists in the article that Mercedes would be competitive in 2014. I wasn't expecting dominance by any means. Their horrific end to 2012 was somewhat worrying though. They had a big budget, a successful history as an engine supplier to Mclaren and a great pedigree of staff. That doesn't guarantee success of course (Toyota), but the comparisons to Fittipaldi and Villenueve's move to BAR were pretty ludicrous. I disagree neither Whitmarsh or Button foresaw the disaster about to befall then, Button in particular thought that Hamilton had lost his marbles and with Hamilton out of the way thought he was going to have a serious run at the 2013 title. "Lewis is a fantastically quick driver and he has expressed interest in driving for the team in the past. But it wouldn't have been right for the team. I have great admiration for the talent he has but I don't think Lewis and Sebastian would be the right combination" - Christian Horner, Red Bull. Lewis and Seb as team mates??? That would have been fun, or else TEOTWAWKI! I was thinking the same. I'm sure he won a race this year! Yeah I've already seen it, it was a bit like watching a video game when he was running. Brazil is the next race. 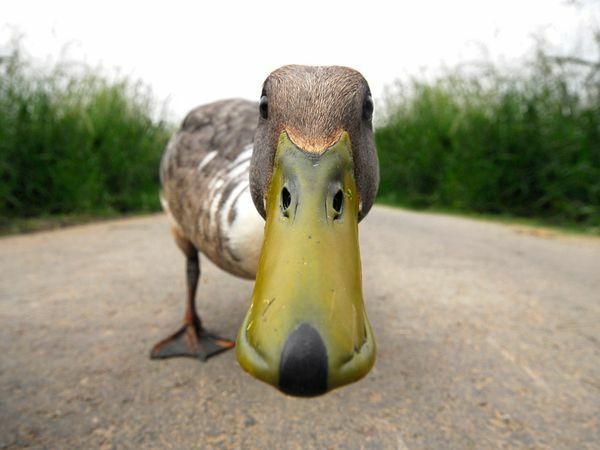 Maybe the "never winning a race after winning the WDC in same season" duck? That's an interesting duck and the Mercs aren't looking overally good after the last 2 races. I think you need to explain? I'd expect a Mercedes win in Abu Dhabi. Perhaps Brazil if there are changeable conditions. He doesn't. You just need to read it again. More carefully or twice, whatever gets the job done. The way this is written, from a grammatical standpoint it is saying that the poster hopes Lewis can break his duck at Brazil, not that his duck is specific to Brazil. 'I hope Lewis can break his duck and finish first (at Brazil)' not 'I hope Lewis can break his Brazil duck and finish first'. Which is a play on the way it is written, not the obvious meaning. But aside from all that, Lewis has won in Brazil as recently as 2016, so there's no real 'duck' to be broken. Indeed the only duck to be broken is winning a race in the same season after securing the WDC, anyway thanks for the effort. Maybe that's the reason why Vettel felt the need to defend himself? Ah, yes, that's it. Thank you Exediron and Lotus, I've been away since last week, so I only saw this now. Do we have a problem here guys?? ?